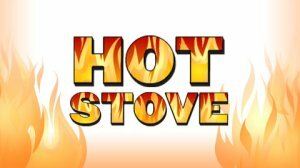 The World Series is over and now comes one of the most exciting times of the year: the Hot Stove. Just when it seems your team has no hope it goes out and does something spectacular. You know, like the Houston Astros changing uniforms (an upgrade if you ask me). So far not much has happened. The Boston Red Sox appear to be on the verge of resigning David Ortiz, which may actually turn out to be a steal for an aging DH. Say what you will, but Ortiz is still the face of the Red Sox and losing him during this rebuilding phase would make things hurt far more than normal. Pitching is still a major issue for Boston all the way around the board, but quality starters are a necessity in the AL East, and having only Lester and Buchholz isn’t going to cut it. One positive is that they have the manager they want and it should help to soothe some egos in the club house. The Atlanta Braves have everything that a young team could want. A quality rotation with solid veterans, a bullpen with one of the best closers,Craig Kimbrel, in the league, and some guys that are beginning to live up to their potential in Heyward and Freeman. However, don’t discount the potential loss of Michael Bourn. His leadership, clutch hitting, and ability to change the game with his speed would be sorely missed (thanks Boras for ruining the game). However players like Martin Prado and Brian McCann should keep the Atlanta crew moving forward. I have a feeling Atlanta and Washington are going to be duking it out for the next few season to see who can win the NL East. What will be interesting is seeing who they try to pick up before Spring Training. Josh Hamilton may be the top free agent this year. His season started off spectacularly and then slowly faded to where he was hardly noticed in the playoffs. But how many teams are willing to take a chance on a 31 year old outfielder with the personal issues he has battled? There could be an upside in that his body doesn’t have the wear and tear on it like other players in his position, but you never quite know if his past will catch up with his future. One team to keep in mind could be the Detroit Tigers. They’re lack of a quality left handed bat caught up to them in the World Series and the Tigers have been known to pull off some huge last minute deals. It also appears that the Angles have attempted to trade Dan Haren to the Cubs for Carlos Marmol without any success. Congrats to Haren for that deal falling apart and becoming a free agent after the Angels bought him out for 3.5 million. As one of the better pitchers in the American League (despite a down 2012 season) I’m sure the Angels want to have him back but at a discounted rate. If they cannot resign Greinke they this could be a blow to the the team as the only starting pitchers that remain from the 2012 season will be C.J. Wilson and Jared Weaver. A good 1-2 punch but not enough to win the AL West, especially with the way the A’s crashed the party last season. This is just the beginning my friends of what could turn out to be a very exciting off season. Stay tuned for updates!